Enjoy these pictures of beautiful Rocky Point. 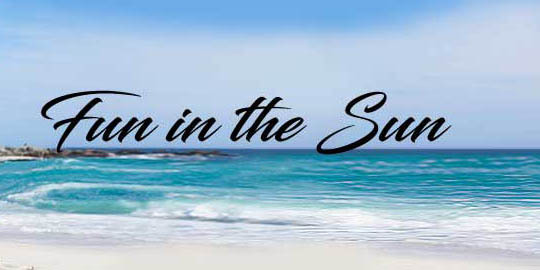 There are plenty of places to take family and friends along the beach plus restaurants and clubs. 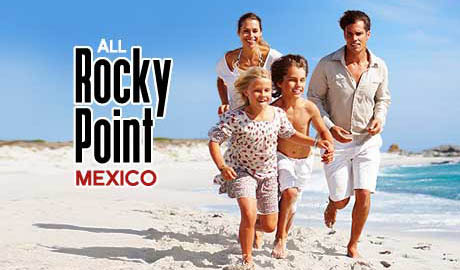 There's certainly no shortage of pretty girls in Rocky Point. These are all "family" having a great time on a Saturday afternoon. Dinner at the lighthouse overlooking the city is a great way to watch the sunset. 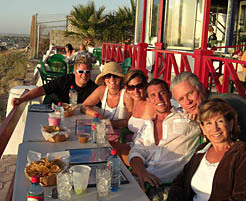 Their tasty margaritas blend well with the environment and the food which is very good. 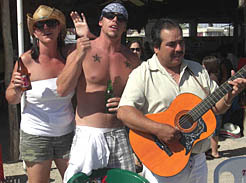 Get up and sing with the local Mariachi band. It's expected. 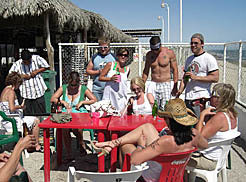 After partying all morning, it's a good idea to relax a while in preparation for the nightlife in Rocky Point. This area is a lifetime work in progress. 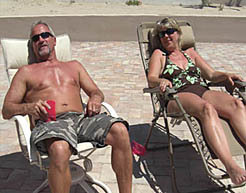 Please furnish articles about areas of interest in Puerto Peñasco. We will post pictures of interest as well. To submit articles or photos please visit our contact us page and submit the article as part of the body of the email. Note that we do not open attachments so pictures should be inserted into the page of the email along with the copy. We will happily give credit for appropriate articles.